You may not expect a hospital ward to look and sound like a children’s party, but that was exactly the case at Queen’s Hospital this week when Skittle Man brought his act to Queen’s Hospital. Read " ‘Skittle Man’ brings the party atmospher…"
Next week we’ll be celebrating the Jewish festival of Hanukkah (or Chanukah) which starts on the evening of Sunday 2 December. Read " Celebrate Hanukkah with us…"
Our Chief Nurse Kathryn Halford picked up her OBE for services to nursing on Thursday 29 November. Read " Our Chief Nurse chats to Prince William …"
Mary Kinsella is our local counter fraud specialist - here to detect and prevent fraud across our hospitals. She worked in lots of government departments before joining our Trust, including in the counter terrorism team. She also loves to get involved in her local community, she volunteers for Macmillan and the Guide Dogs, and loves bell-ringing at her local church! 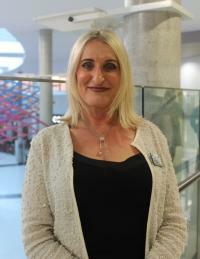 Read " In Conversation With...Mary Kinsella, ou…"
Our fantastic Sustainability team win big! Read " Our fantastic Sustainability team win bi…"
It’s a special edition of In Conversation With… this week! As part of our recognition for our wonderful volunteers, we spoke to Edie Lay, the winner of our Lifetime Achievement award. She was presented with her award by our interim Chief Executive, Chris Bown, at a thank you event for all of our volunteers on Monday (19 November). 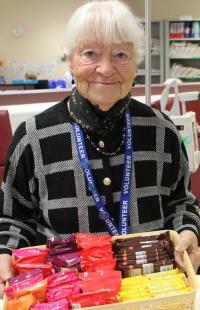 Edie has volunteered at our Trust for a huge 28 years! Read " In Conversation With...volunteer Edie La…"
Performers from national charity the Starlight Children’s Foundation delighted poorly children at Queen’s Hospital on Friday (16 November) with their winter panto. 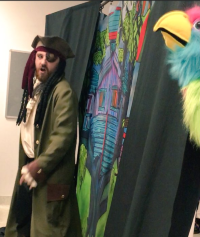 Read " Shiver me timbers! Poorly children at Qu…"
Miss out on a place in the marathon? You could run for our charity! The King George and Queen’s Hospitals Charity has secured a place in the 2019 London Marathon – and is now looking for a runner to help raise lots of money for a great cause! 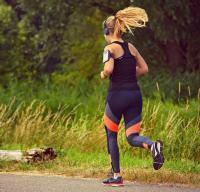 Read " Miss out on a place in the marathon? 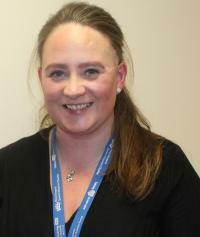 You…"
Our latest In Conversation With… interview is with Laura Parker, our neurosciences research nurse. 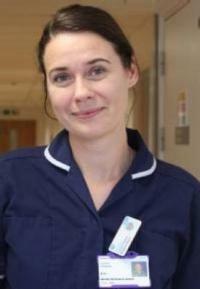 Laura joined our Trust in 2009 and has followed in the footsteps of her mum Karen, who is also one of our nurses. While Karen tried to talk Laura out of becoming a nurse because of the pressures involved, she’s hugely proud of her and tells everyone what she does! Read " In Conversation With, Laura Parker, neur…"
Our Children’s Diabetes team (pictured) marked World Diabetes Day today (Wednesday 14 November) by holding stalls at our hospitals, to raise awareness about the condition and talk about their work to support children living with diabetes. Read " Our Children's Diabetes team…"